Animal Crossing: Pocket Camp Super Mario Event Now Live! The latest event in Animal Crossing: Pocket Camp is now live, celebrating Mario Day. During the event, players will be able to collect Mushrooms from completing animal requests! 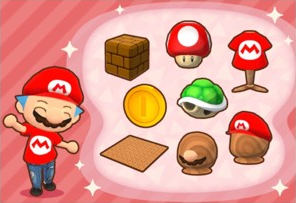 If you collect enough Mushrooms you can craft limited-edition Super Mario themed furniture and clothing, as well as the Mario Rug if you manage to muster up enough Leaf Tickets! 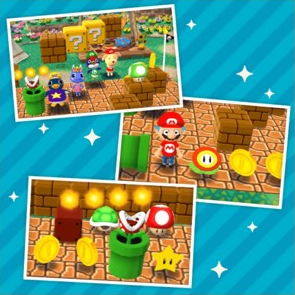 For the first round, you'll be able to craft basic Super Mario themed items such as the Coin, Block and Super Mushroom, as well as clothing items such as the Big Bro's Hat/Tee/Mustache. In addition, Rounds 2 and 3 will grant more Mushroom types, as well as new times goals and new themed furniture and clothing items. The Shovelstrike Quarry will also grant Mushrooms at certain times when mined to help players out during the event! Rewards for Rounds 2 and 3 will be revealed closer to the date. The Super Mario cross-over event will last until 4:59pm AEST on April 10th, 2018.